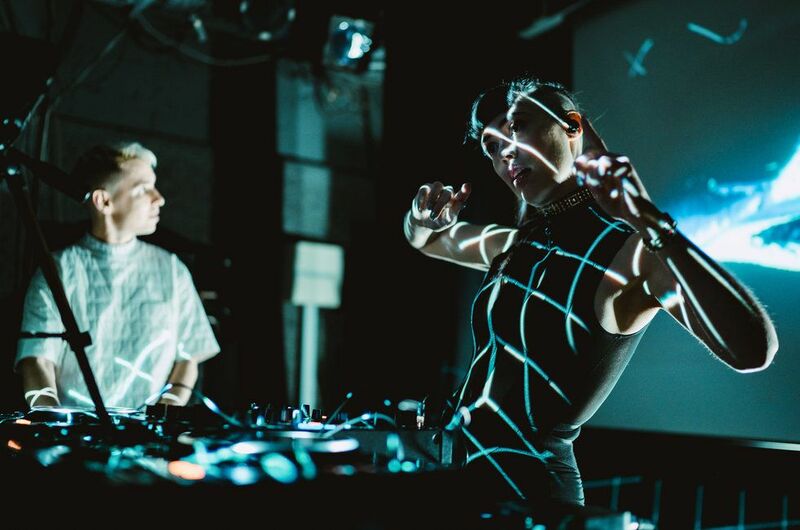 When we talk about the future of club music, what we're really talking about is Sinjin Hawke and Zora Jones. Individually accomplished in their own rights, Hawke with his cerebral approach to trap that has garnered him production credits for the likes of Kanye West and Ian Isiah as well as Jones who's R&B-tinged footwork launched her as an underground phenom leading her to collaborate with rising club legends like Murlo, DJ Taye, and Jlin. But it was after they got together that they found they elevated each other's game to a whole new level, and thus Fractal Fantasy was born. Founded in 2014, it would be a disservice to explain Fractal Fantasy as merely a forward-thinking record label. Sure, Fractal Fantasy's catalog sounds like it was plucked out of a chrome-plated nightclub in the year 3019 but listening is only half of the experience. Each release on the label appears alongside its own unique visualizer, coded to fluctuate and pulse in step with each track as you mouse over glitchy, often surreal, CGI landscapes. It is this effortless merging of audio and visual components into one enhanced release that has quickly established Fractal Fantasy as a creative force to be reckoned with and put Hawke and Jones on the cutting edge of club music today. 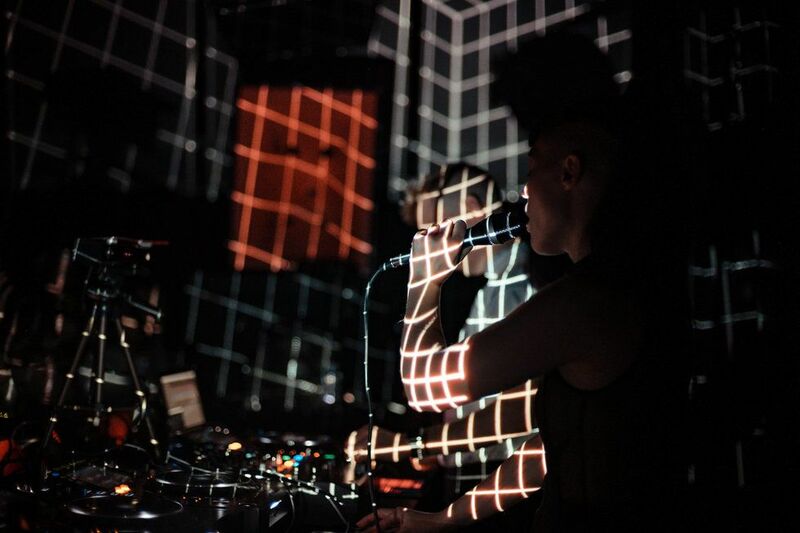 And while Fractal Fantasy originally started as a digital endeavor, Hawke and Jones have recently brought their URL aesthetics into the IRL with a constantly evolving live show. From 3D mapping their likenesses onto virtual avatars that bubble and morph on screen as the pair tag-teams a DJ set to a recently added visual theremin that turns their dance moves into sound, Hawke and Jones' real success is that they make all of this innovative next-gen technology look so goddamn cool. Make no mistakes about it, Sinjin Hawke and Zora Jones are instantly the coolest people in any room that they walk into. One thing I've really come to love about Fractal Fantasy is the attention you pay to each release's visuals and on top of that they're interactive too. I'm curious as to where that originates from? Zora Jones: Awe thanks - yeah the interactive visuals actually developed out of necessity... Fractal Fantasy started as a video series based on an animation Sinjin's father did in the '80s. We wanted to host the videos on a website rather than just throw them on YouTube, so Sinjin had to learn how to code and through that, we started doing interactive visuals. Sinjin Hawke: I had always been a huge fan of the WebGL demo scene and with a bit of luck I met a programmer named Ezra Miller at one of our shows. He ended up helping us a lot with the website and taught me the basics of web development. We launched our first interactive experiment with him in 2015 called Unction and after that I was completely hooked. Building real-time visuals is extremely addictive, it's almost like playing with a synthesizer -- if you move a slider the visual changes right away... You don't have to wait for it to render. Z: It also adds a new dimension to the expression, I love knowing that people who visit our site don't just stare at the screen but are able to interact with the artwork, so in a sense they graduate from being an observer to becoming part of the creation. How do you approach pairing visuals with certain releases? 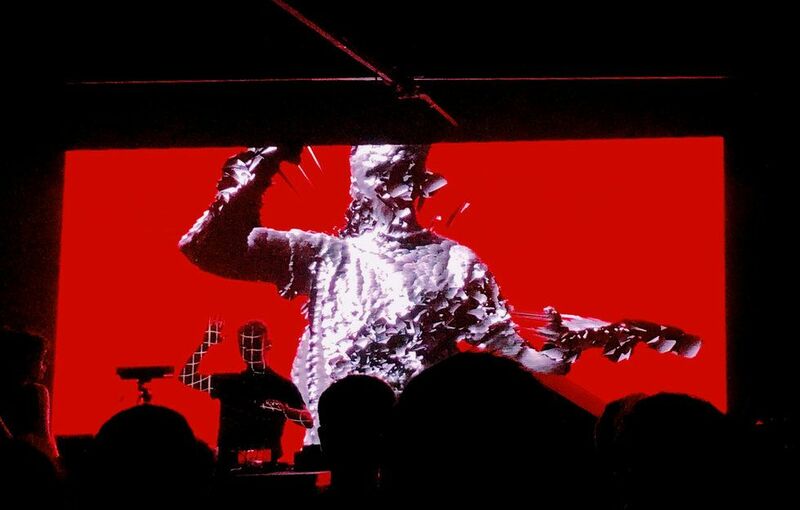 S: We usually start with a general concept... For example, our artist Xzavier Stone has a really striking face, so we wanted it to be the focus of his album visual. We also wanted to incorporate the theme of "THIRST" into it, so we built an ultra-realistic representation of Xzavier's face and added liquid deformations to his skin. Z: After the framework was built, we spent a lot of time fine-tuning the aesthetics. It's a meticulous process we do on every Fractal project which is why it often takes us a long time to release them. How has that translated over into the live show? I know you've been working on a visual theremin which sounds really cool! Z: Yes, developing the visual theremin was fun. We wanted a live instrument that was simple and intuitive to play yet capable of being virtuosic. It needed to fit into a small suitcase but also be able to entertain a large audience, so it kind of worked out perfectly. How have you seen your live show evolve over the years? Z: 2018 was actually the first time we toured the AV Live in its full form.. We came up with the visual concept about five years ago. The idea was to have superhuman metallic versions of ourselves towering over the crowd. 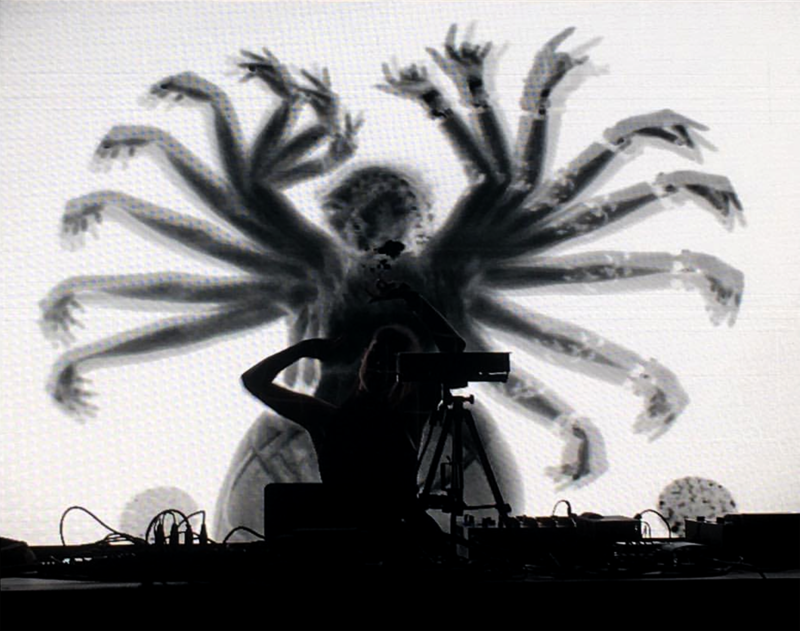 In 2017 we toured a beta version of the visual paired with a DJ set, which led to the idea of creating an instrument that reacted to our body movements. S: The AV Live has become really fun to perform; we both play the visual Theremin throughout the set. Zora dances like a 10-armed goddess and sings like an autotune alien. The overall framework allows us to dive really deep into the ambient bits but also ramp it up to levels of complete sensory overload. What would the set of your dreams look like? Z: We actually really want to build an immersive space for performances, like a 360 club utopia with AR/VR possibilities. S: We've already put a lot of thought into it and rendered out a few prototypes that we'll be previewing in our next Fractal Fantasy frame. I know Sinjin just produced some of Ian Isiah's recent record, are you currently working on any other projects? S: We're actually about to go to LA for a month to produce a big batch of instrumentals. We basically want to morph the modern template of rap production through our own lens - full out Scott Storch mode. Do you two approach producing for other artists any differently than say a Visceral Minds track? Z: With Visceral Minds we can go as experimental as we want, but with pop/R&B/rap artists, it's good to keep things in their comfort zone during the recording process in order to get a good vocal take. You can always refine the production and build something wild around their vocals afterwards. On a similar note, the Vicious Circles EP just came out not too long ago and I was curious as to what that creative process was like? You two seem to be so in sync with one another, did you find that the EP came together pretty effortlessly? Did you discover new things about each other that you didn't know before? Z: To me making music with someone is a really intimate experience that creates a special bond between people. Sometimes when you exit the studio after a session, it almost feels like you know the other person's deepest secrets without having to exchange a word. S: We work together almost 100% of the time and for Vicious Circles, we actually tried to disrupt this familiarity and break from convention as much as possible. What does the future hold in store for Fractal Fantasy? S: We've recently started working with Unsound Productions and will be building some projects with them that I'm really excited about. Z: We're also working on some augmented reality stuff, a secret project with a new team member and more dates with the AV Live. Visceral Minds 3 is also on the way ;). 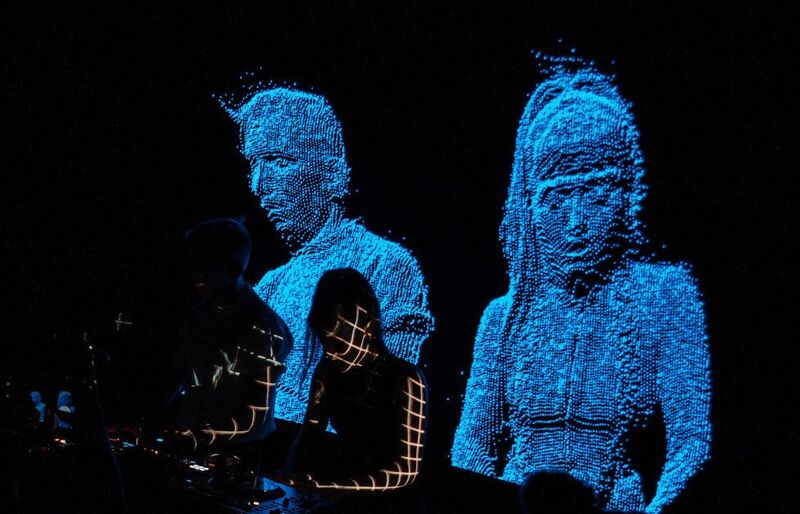 Listen to Sinjin Hawke and Zora Jones' exclusive mix for PAPER below and be sure to catch their live AV show at Life and Death x Sónar at Brooklyn's Avant Gardner this Friday, February 8th alongside acts DJ Koze, Nosaj Thing, DJ Harvey, Daedalus, and more. Sinjin Hawke & Dj Earl - ? ?